Explore two of the most scenic communities in Alaska by bike at your own pace. Enjoy daily rides in Haines and Skagway that allow you to see our amazing landscape and wildlife up close on your own schedule. Explore two of the most scenic communities in Alaska on a bike at your own pace. 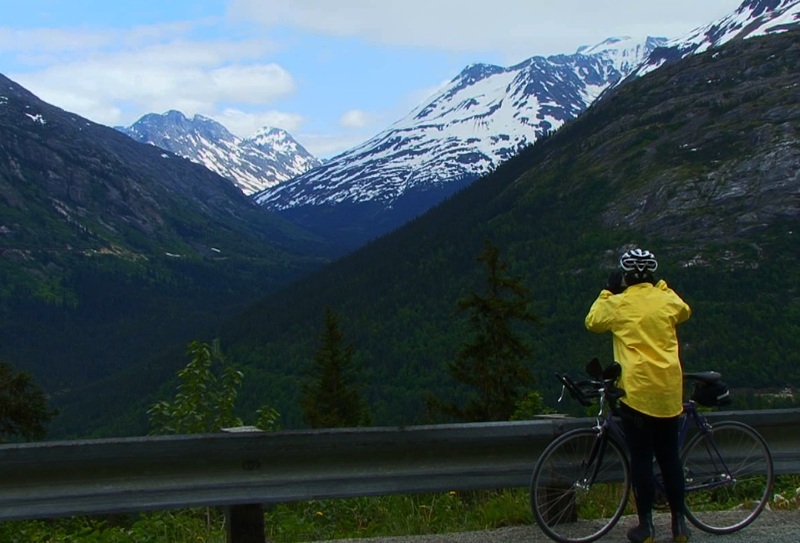 On this self-guided tour you venture out for daily rides in the towns of Skagway and Haines. You see our amazing landscape and wildlife up close and personal on your own schedule and at your own pace. You can choose when and what to eat from a selection of fine local restaurants or go to the market and buy your food. 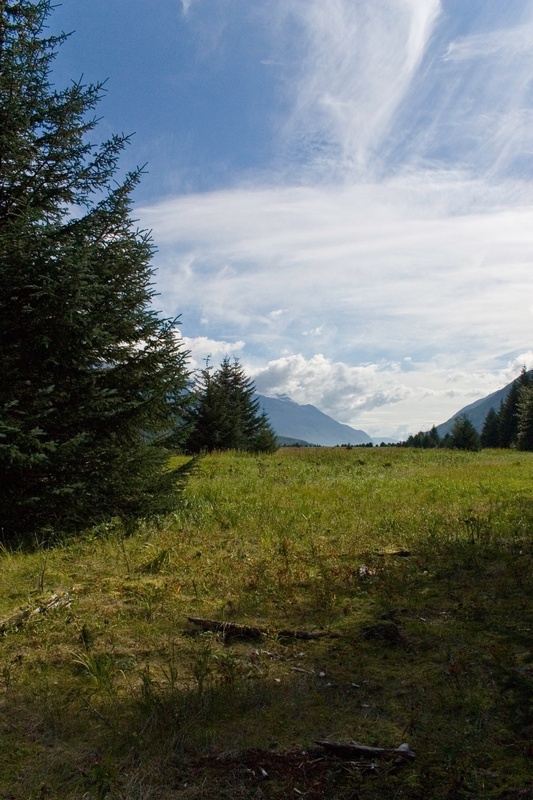 You spend two nights in Haines and ride moderate self-guided bike trips of your choice each day. We provide you with a Specialized Sirrus touring bike, a map and local information. You can explore Chilkat State Park by bicycle and take in the sights of Letnikof Cannery and Rainbow Glacier. 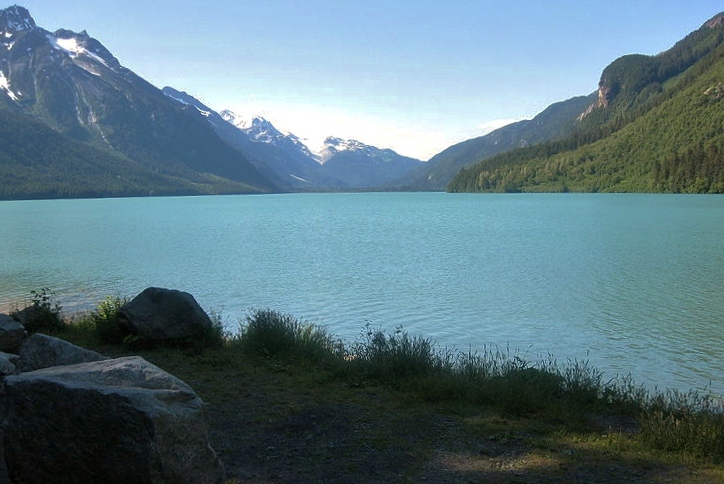 You can also bike to Chilkoot State Park to enjoy wildlife viewing and the emerald water of glacial-fed Chilkoot Lake. The second day you can ride out of town on the Haines Road through the Chilkat Bald Eagle Preserve to the distance of your choice. We then pick you up in the van for the transfer back to town. On the morning of the third day you take the thirty-five minute fast ferry to Skagway. After settling in at a local B&B you take in the sights of the historic gold rush town. You then take the mid-day departure of the White Pass and Yukon Railroad to Fraser Station in Canada and bike 21 miles back to Skagway, descending the 3292' pass over 15 miles. On your second day in Skagway you may choose to bike to Dyea on the edge of the rainforest and explore the Chilkoot Trail, the historic gold rush era townsite and nearby tidal flats. The next morning you return to Haines aboard the fast ferry then continue on your Alaskan journey. You may choose to extend your stay in Haines or travel to nearby Glacier Bay or Juneau. This self-guided tour enables you to enjoy these two scenic communities on your own schedule and at your own pace. A relaxing and empowering vacation that will leave you with wonderful memories of our beautiful region. Set your own pace, meals, schedule and travel independently. Comfortable lodging in Skagway and Haines. Experience two local communities up close. Notes: Price includes hybrid touring or mountain bike, repair kit, helmet, transfers, and lodging for four nights. Meals are not included. Guests must be confident riding a bicycle with hand brakes. Helmets are required. A passport and other necessary immigration documents are required. You set your own itinerary on this trip. 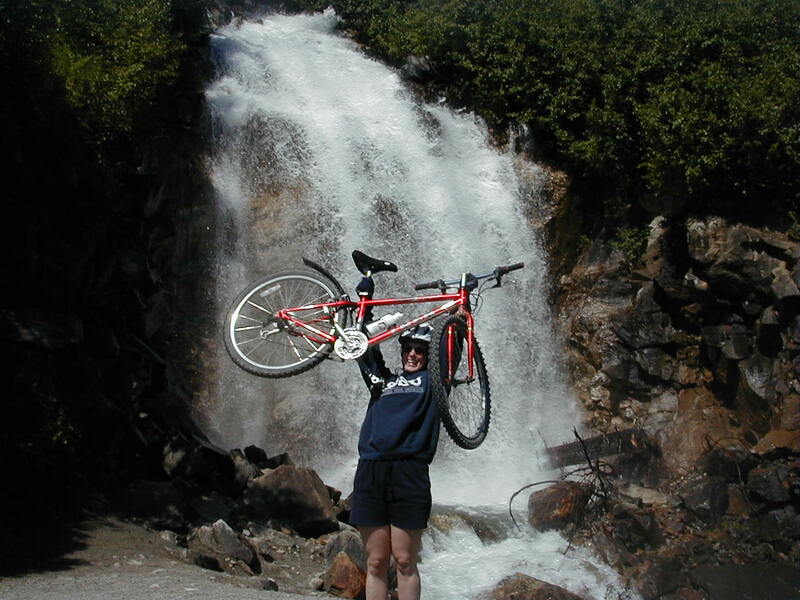 For more about specific bike rides in each town see Skagway Daily Tours and Haines Daily Tours. Dates are flexible. The tour includes 4 nights of lodging and 1 day of travel. Specialized hybrid touring or mountain bicycles equipped with rear rack & handlebar bag and repair kit. 2 nights lodging in Haines. 2 nights lodging in Skagway. Round trip fast ferry tickets from Haines to Skagway and White Pass Railroad ticket to Fraser Station. 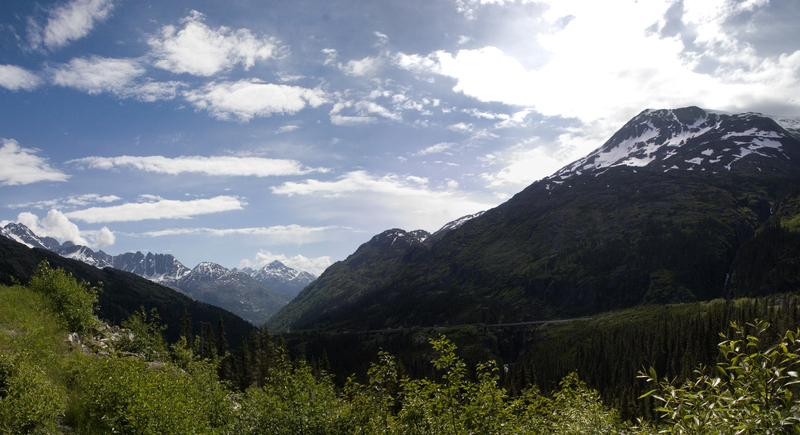 Van transfers in Haines and Skagway. At the Skagway Inn Bed & Breakfast, host Innkeepers Karl and Rosemary Klupar, provide warm hospitality as they invite you to enjoy their historic Victorian Inn. "I loved being able to set my own pace" - Jackson P.